You could have knocked me down with a feather when I spotted an email from Richard Gere in my inbox! And no, it wasn't a spam message, but sadly it wasn't a truly personal message either - it was a request for money. But that's ok too, as it was in a very good cause. 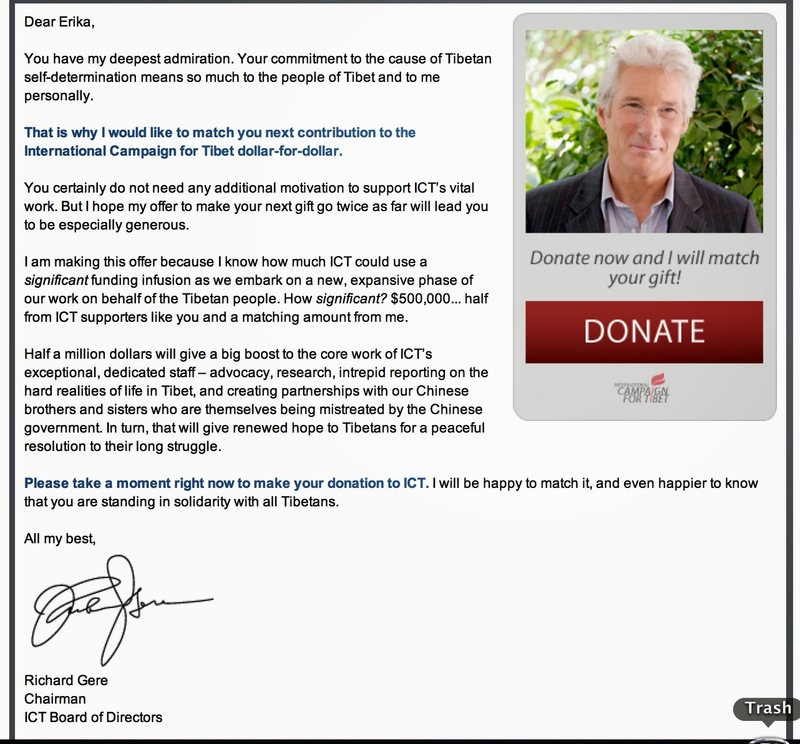 I've been a keen support of several Tibetan charities for many years, and as chairman of the International Campaign for Tibet, he promised to match my donation dollar-for-dollar.